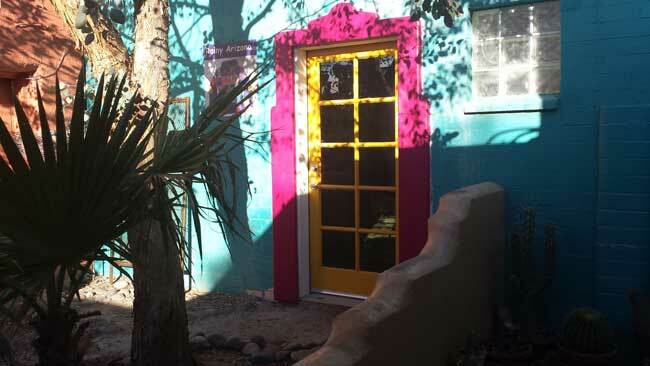 Artist Studio spaces available at Rain Crow Artist Collective in Placita de la Luna. 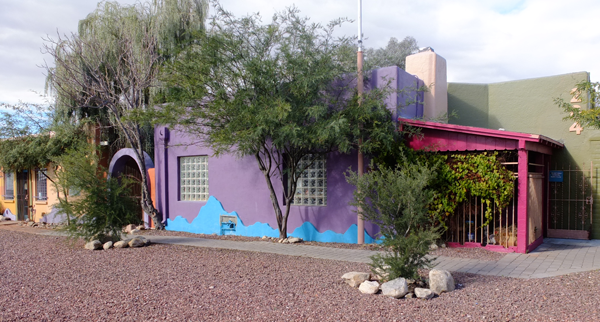 Open, creative, inspired space in a supportive artistic community. Large and small spaces available. Shared bathroom. New a/c. Utilites and wi-fi included. 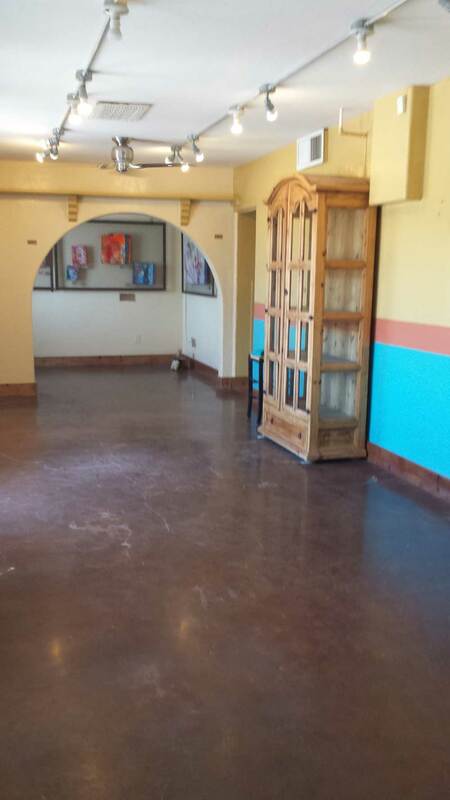 Features include glass block, adobe walls, stained concrete floors, courtyard access. Very good natural light and well planned existing light fixtures too. 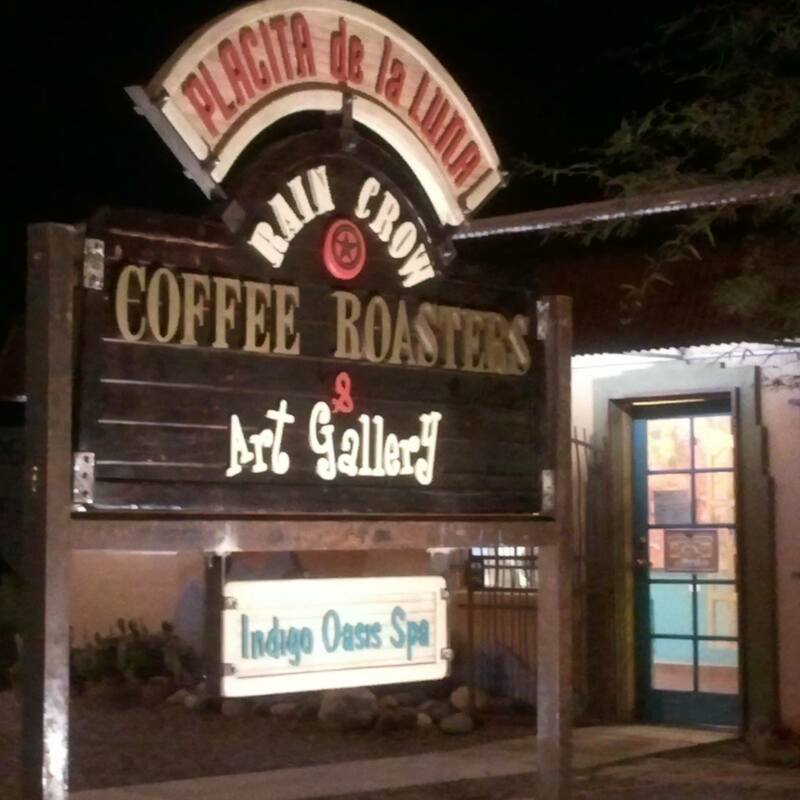 Rain Crow also has a nice facebook page and newsletter that can be used to advertise art events. Beautiful signage. Affordable price range 250/mo - 400/mo. Large Studio Space Available (approx 1000 sq ft). Perfect for studio and/or retail space. Also well suited to share with another artist. Features include open floor plan with terrific natural light and stained concrete floors. Easy parking at front door and back door opens into the courtyard. Private bathroom. Utilities included and wifi included in rent. 950/month.